Max is a happy and enthusiastic nine year old boy. He has a gentle and caring disposition. He is one of four children and is particularly close to his younger sister. He suddenly presented with epilepsy when he was five, one night in September 2012. This resulted in hospitalisation, and following further seizures, after extensive investigation, it was determined that Max had been born with Neuronal Migration Disorder causing hemi-megaencephaly. 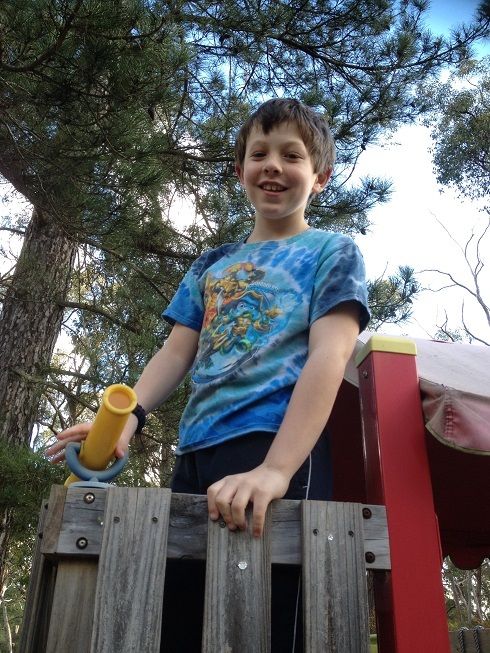 This underlying condition has meant that life at home and school has been difficult for Max. He has also subsequently been diagnosed with Autism, learning and developmental delays and ADHD. Despite his undoubted difficulties, Max enjoys school and has had great support for his learning from his school. His epilepsy however, is our overwhelming concern as he has seizures at night. He has had continued seizures despite dual medication. We have not wanted to take any risks in him being left alone at night and this has meant he has been co sleeping with a parent since 2012. He has become increasingly aware of how his epilepsy is limiting his life and independence. He has reached the age where he has wanted friends to come to play and have sleep overs and this has not been possible. Such socialisation is also an important part of overcoming some of the issues with his autism. A seizure mat would make a great difference to Max’s, and to the rest of the family’s life. It would be a step on his path to an independent life.